Do you love the fluffy clouds of hand-spun cotton candy you can get at the fair? If so, then Hawaiian Shaved Ice has got you covered with the Cotton Candy Express Brand Fun Pack. 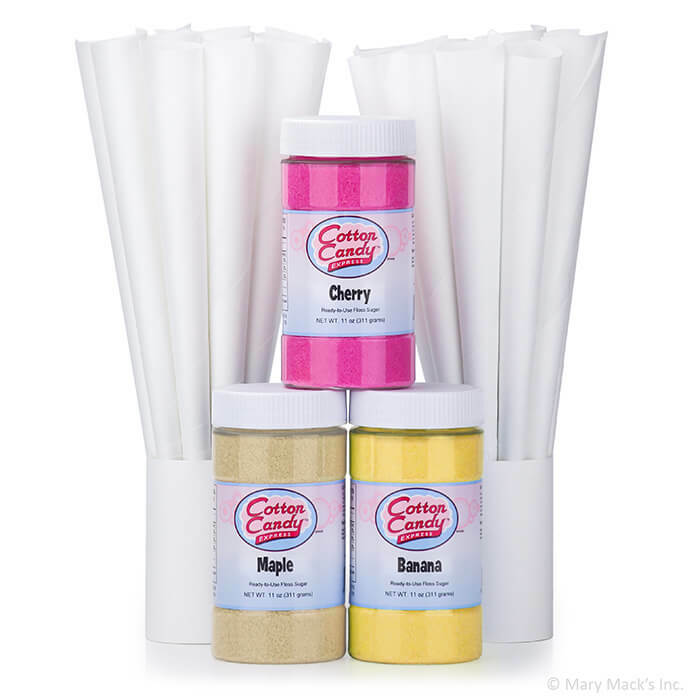 It�s the perfect kit to make delicious cotton candy from the comfort of home (or the office). No need to wait for the circus to come to town to grab a bag of your favorite treat. Simply whip-up a batch any time. 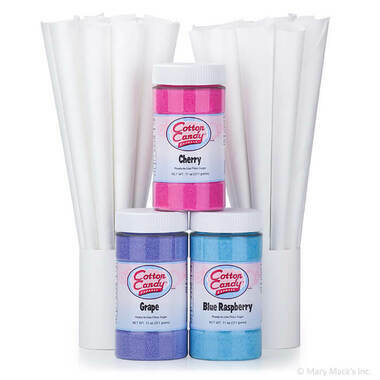 The Cotton Candy Express Fun Pack comes in four different flavor variations and includes 50 paper cotton candy cones. 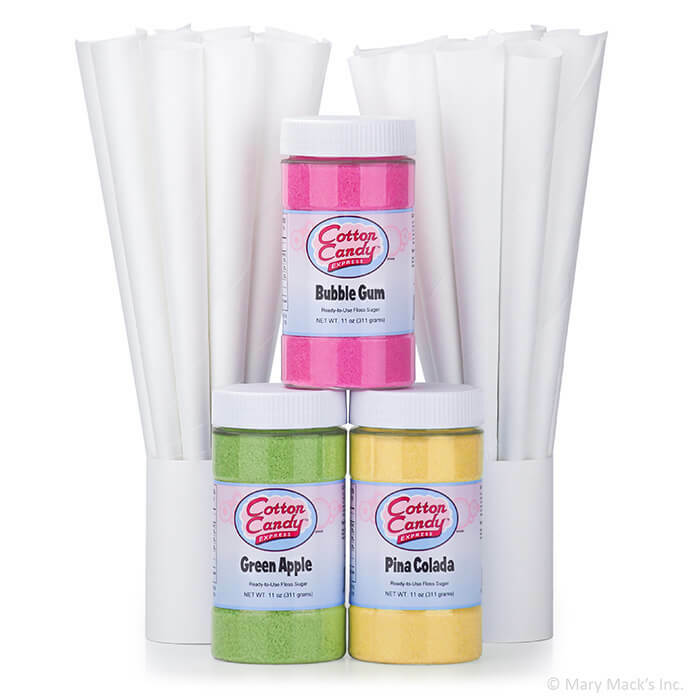 Each 11-ounce jar of floss sugar can make 22 servings and can be used with household or commercial cotton candy machines. Try your hand spinning fluffy confection today! 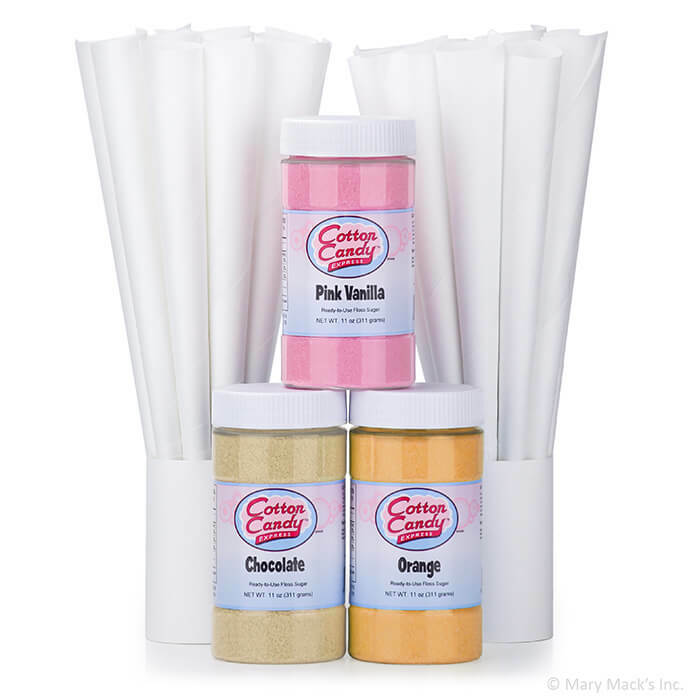 Your guests or customers are bound to be impressed with the flavor options and the sweet goodness of melt in your mouth cotton candy! 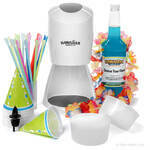 Pair the Cotton Candy Express Fun Pack with the Cotton Candy Express Brand Cotton Candy Maker and you�ll be all set. 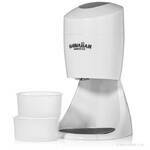 Make any day like a day at the fair with a cotton candy maker and cotton candy supplies from Hawaiian Shaved Ice.